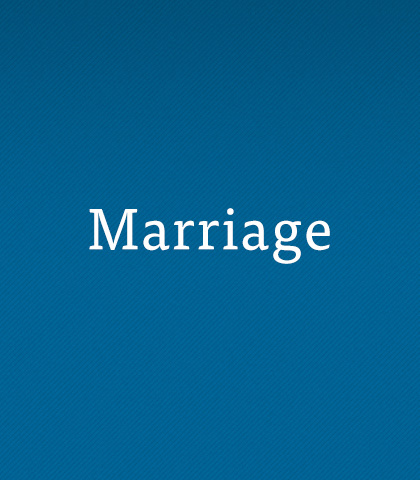 In a day when half of all marriages fail, we all need insight that stands the test of time. We need wisdom from Scripture to equip us to transform our own union from a lacklustre contract into an intimate and exciting relationship. Whether you're recently engaged, just realizing the honeymoon is over, or celebrating your golden anniversary, Insight for Living remains committed to helping couples cultivate honesty, exhibit grace, and experience a joy and intimacy in marriage that they never thought possible. Mature love doesn’t grow cold over the years. True love is long term; it doesn’t give up. That’s how Christ loves us. In the unpredictable journey of marriage, Scripture is the map that points us in the right direction and keeps us on track. We all know love is important to marriage. But how much thought do we give to grace in marriage? It can make all the difference in a relationship. Anyone can rebel—it comes easily to us. But it takes great strength of character to be humble and live in submission to others. How a husband treats his wife speaks volumes about his character. A masculine and secure husband honours his wife, and he allows her the freedom to be herself. Because of God’s grace Christians live a different life, a holy life. Holiness is a lifestyle of integrity and moral excellence. Everyone in Nazareth would have known Jesus’ mother, Mary, was pregnant before she and Joseph were married. While everyone knew about the scandal, no one understood Mary’s conception was miraculous and one day her baby would save the world. Courtship is the time in a relationship to lay the foundation. It’s the time you discuss children, finances, work, in-laws, faith, stress, goals... everything! I accept you, I believe you’re valuable, I care when you hurt, I desire what’s best for you, and I erase all offences. Chuck Swindoll calls this the A-B-Cs of love.